No reworded references or quotes as post title fodder this time; we are said to be dealing with curses here, after all, and from one of the most influential modern Japanese horror authors at that. Best not to disturb it too much. I would prefer to make it to the end of this month of horror anime in one piece. This 1990 OVA is somewhat topical as a selection, as Kazuo Umezu has only days ago released Mother, his very first feature film that he directed himself (in addition to writing it, of course). Keep in mind, Umezu is as of this writing seventy eight years old. Regardless of however the film comes to be received critically (I have not seen it yet myself), it is nice to see him still energetically pushing himself creatively and taking up project roles he has never given a spin before. We should all be be so lucky in expressing ourselves in those later years of life. By trade and fame though, Umezu is known for his manga more than anything. He was strong enough at his craft to come right out of highschool graduation into the manga world, Perhaps most prominently, his second ever serialized series, The Drifting Classroom (Hyōryū Kyōshitsu) out of Weekly Shōnen Sunday won 1974’s Shogakukan Manga Award. Not only was this the twentieth anniversary of the award, but also the last year there was only a single category for all manga to compete in. This series alone has enjoyed multiple live action adaptations over the years, and launched Umezu into a position where he has seen fit to dabble in all manner of genres and side projects over the years. All while ensuring a continuous supply of new manga from his particular hand and headspace. 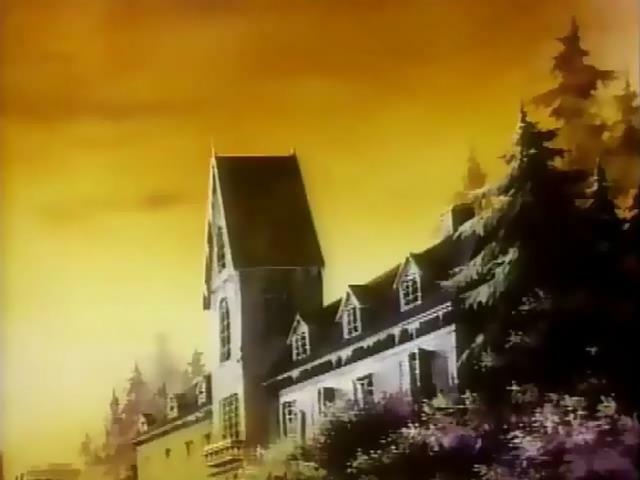 This two episode OVA, The Curse of Kazuo Umezu, is by all means one of those aforementioned side projects. So far to the side, there is not a whole lot of production information I seem to be able to dredge up in English. Production comes courtesy of Yuuwa and Takahashi Studio, though there are some mysteries behind that. The former has no other titles to their name, and the later has only one additional OVA via Monkey Punch no Sekai: Alice. It appears to have been named after Fuyu Takahashi, who was Producer of Umezu’s project here, though this is also the only relationship I can find to him in either the anime industry or a larger biography in general. The screenplay is credited to Shiira Shimazaki, who again I can only seem to find reference to in relation to this project. And nothing else. What of Director Naoko Omi? Again, they may as well be a ghost, given the distinct lack of any other projects in either anime or elsewhere. This is not entirely unheard of course, particularly for an era where Japan had a booming economy and direct to video releases for all kinds of things were easier to cobble some folks together for. 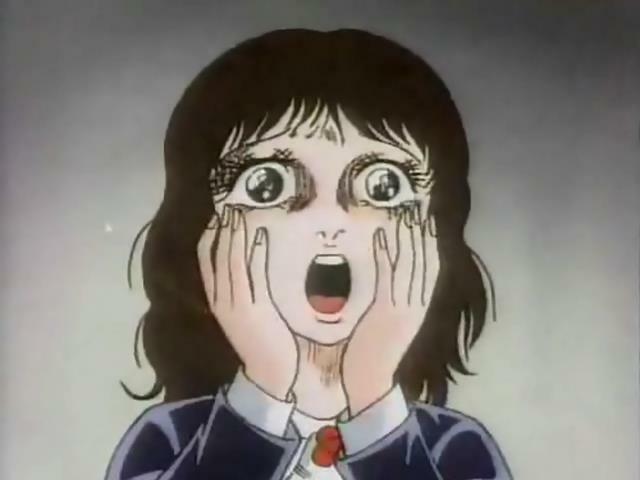 As the economic bubble burst in 1991 as the Lost Decade rolled in, only months after The Curse of Kazuo Umezu’s release, it seems to have purged most folks who were involved with this anime right out of the entertainment industry. This could be considered quite fitting as a thematic element for a horror piece from so many years ago. Or rather worrying, if one assumes what they are about to watch may well be from so far down in the dustbin of history for very good reason. I am in this instance inclined to believe in the later, but I do not think the work is a lost cause as a whole. Over a little more than forty minutes, The Curse of Kazuo Umezu has two stories to tell. The only thing linking them being nothing more than both having a near Edward Scissorhands type fellow on a swing in a nondescript room acting as a narrator lead in and out. Without spoiling more critical details, the first story, “What will the Video Camera Reveal?,” features a new transfer student named Rima entering the high school class of a young woman named Masami. This individual, who has returned to Japan from Mexico, is considered quite beautiful by many throughout the rest of the class, but Masami feels so strange at the sight of Rima she needed to go to the nurse’s office after collapsing. This is quite an unnatural reaction to have to anyone, and involves further restless nights and strange markings. So with the help of a friend and handy video camera to record with, Masami intends to get to the bottom of why she feels so on edge like she does about Rima. The second narrative, “The Haunted Mansion,” is a tested core idea over the years of horror works. Friends Miko and Nanako rent lots of horror films and like watching them together. One of the tapes even having the same title as the video the viewer is already watching as a cameo, though this is unrelated to the plot. After a movie binge night, they recall a local abandoned mansion which may have been the site of a suicide by arson, and decide to go explore it with the consideration it may be haunted. Now, on a core level, I do find myself liking the stories they each want to tell. They have simple characters, to be sure. But the mechanics of each work and how the devices come to resolve themselves I would find quite compelling as a manga anthology chapter or even a little self contained thirty page dojinshi. One could even tell an adapted version of these stories in something like a campfire environment, and get a good enough reaction I feel. I do not think it is a spoiler for me to say there are unusual forces at work in each story in their own ways, and as these things go they would be interesting enough to provide a reaction with the right care. However, as video episodes, I find these to fall flat. If you have not already worked out the math, each of these episodes are about twenty minutes long. Now, one can do a lot with twenty minutes, to be sure. But when I make those comparisons to manga chapters or campfire stories, it is with an eye for their quicker pacing. These episodes have trouble keeping themselves active and engaging, because there is a lot of dead air and general padding. Not in an atmospheric sense, where one could ordinarily make a case for trying to build to a certain jump scare or make the viewer uncomfortable just through creepy surroundings or a “Don’t open that door!” crushing dread way. Things just by and large take too long as almost every opportunity, and are not shot in a manner to sell further unease. These are episodes which would make for a punchy ten minute or so story to tell to friends in the dark out in the woods, or again in a horror anthology manga or the like. They have good page turner qualities in them, with just enough gears to where want to wants to see how everything turns out or what if any surprises there may be. But in a twenty minute container, they come off as far more bloated, and to me less satisfying as a result. Horror can kill with excellent timing, but less attentive timing in turn kills it. It is frustrating to a degree, as there are elements of well crafted things in here. The first story in particular, without giving it away, I consider to have some solid creative work put towards the supernatural nature of the situation at hand. Meanwhile, the art style is very heavy on using things like multiple lines for “ugier” shading over a more even and smooth painted patches, which I find to be a plus given the genre we are working in. Horror likes ugly, and it helps steady its way through some skimpier animation work. Though in its defense, when the budget kicks in for a few very particular sequences, it becomes very apparent where the attention went. There are certain cuts I would very much like to see a high definition transfer for, had I the opportunity. Even a better-than-VHS copy would suffice, as to my knowledge it seems to have not made the jump to Laserdisc, let alone DVD. What I am left with then, at the end of the day and with the sun having set, are some interesting ideas for thrills and a few good scenes to where I can not say I heavily disliked the experience of The Curse of Kazuo Umezu. Yet at the same time, I can not shake the feeling of being underwhelmed given the running time. Some of the work in drawing out the scenes would almost seem to have been done in an effort for no other reason than to bulk up the length. Which on the one hand is a reasonable thing to have in mind for a directo video work, as one wants the consumer to feel they received adequate value for money. Yet in doing so, and trying to make it seem like a more deluxe product by injecting extra time here and there into what I feel are better shorter form stories, they may have introduced more significant problems. Especially when coming to visit it almost twenty five years after its original release. 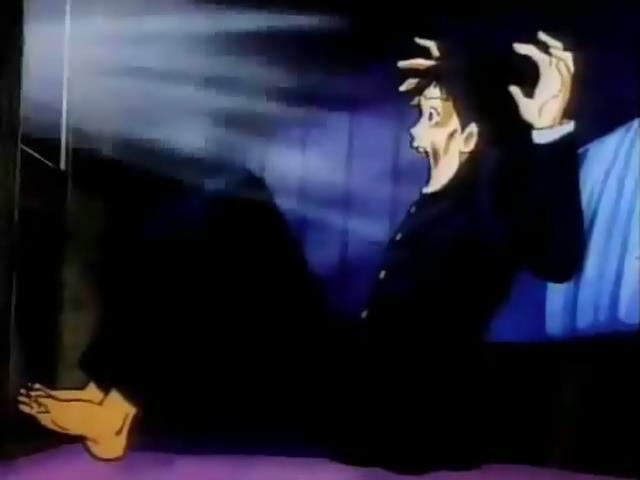 So as far as curses go, at least speaking for myself this OVA generated what may be one of the least desirable reactions one could have to a piece of media: slightly below average disappointment. Enough saving graces and competency to keep it from generating more vicious and declarative bile on the lower third of a scale, with hints of material that could soar if only presented and timed out in a different fashion. Even my describing it that way takes a lot more bloat than if it were to hit me as expressly better or worse than it is, so maybe it did indeed get to me after all. Mothballs is a weekly write-up of already completed anime I have either removed from my backlog or have recently revisited. A crash space for my immediate thoughts and personal processing, these are not intended as full reviews.